The Student Council and volunteers, were wonderful ambassadors for our school during our recent Open day in October 2018. All our visitors were very complimentary of the great tour and commentary provided by the children. Well done one and all! 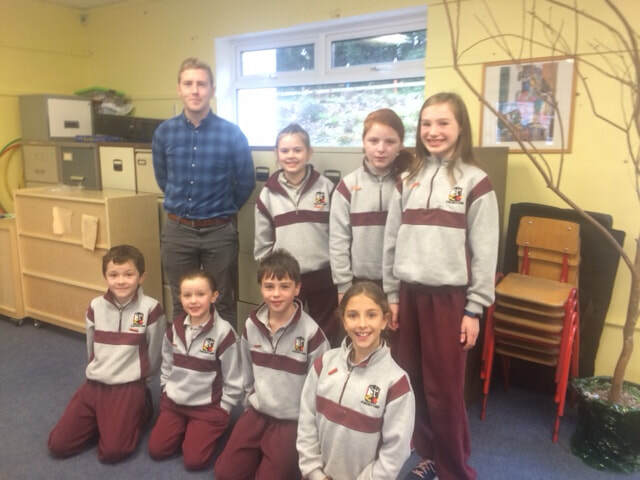 Mr. Egan has agreed to take over the organisation of the Student Council from Mrs Cleary. Here are the members of our 2018/2019 committee. We wish them well in the year ahead. 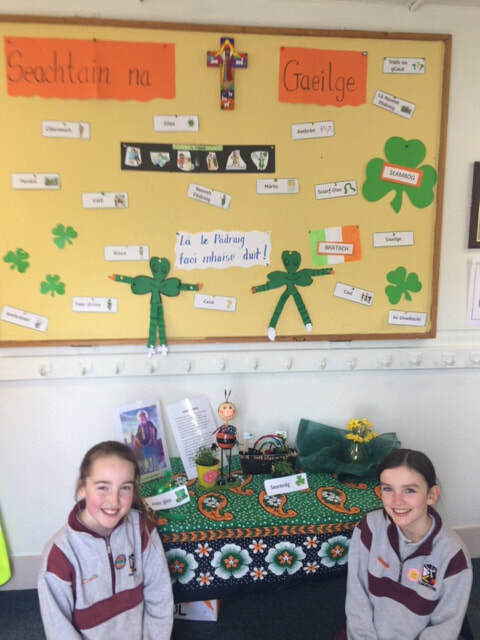 The Student Council kept us on our toes during our extended Seachtain na Gaeilge and provided us with useful phrases. Two members set up a great Conversation Coaxer table. The Student Council participated in their first major event of the year when they hosted our Grandparents' Day on 2nd February 2018. Each and every one of them was fantastic. They welcomed our visitors and showed them around the school. They led the entire ceremony in the hall with confidence and we were so proud of them. Our new Student Council received their badge of office and signed up their commitment certificates in early December. They are eager to start work and are looking forward to representing the views of their classmates. 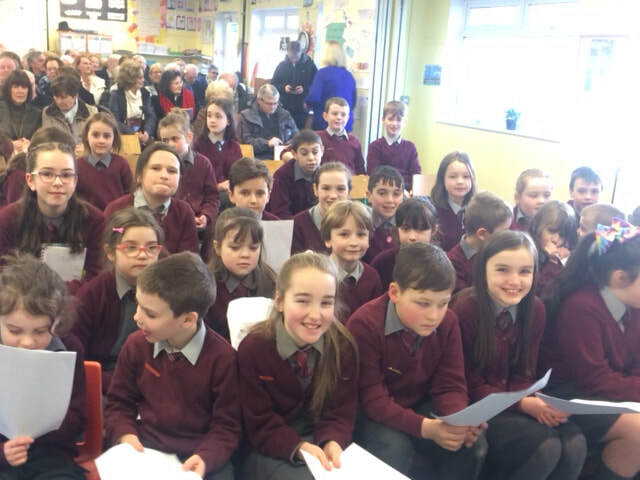 They have committed to working hard, to promoting the use of Gaeilge in our school and to being welcome ambassadors. 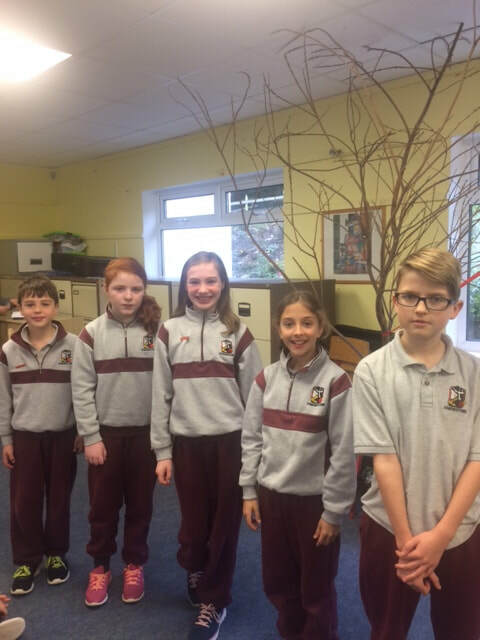 They will be involved in representing the views of the children of Edmondstown when we review our Homework and Healthy Eating Policies later this year. During Catholic Schools Week, they will host a Grandparents' Day. We are looking forward to hearing all their great ideas.